Zizo and Mayihlome to wed? Zizo has had fans in a frenzy since recently being at events with what appears to be an engagement ring on her "ring" finger. Rumours about Zizo Beda and Mayihlome Tshwete's relationship have been doing the rounds for well over a year now. The pair have been photographed together at events and have also shared pictures of themselves together on social media. The former model, presenter and entrepreneur prefers to keep a low profile and has always played coy when questions about her romantic life surfaced. 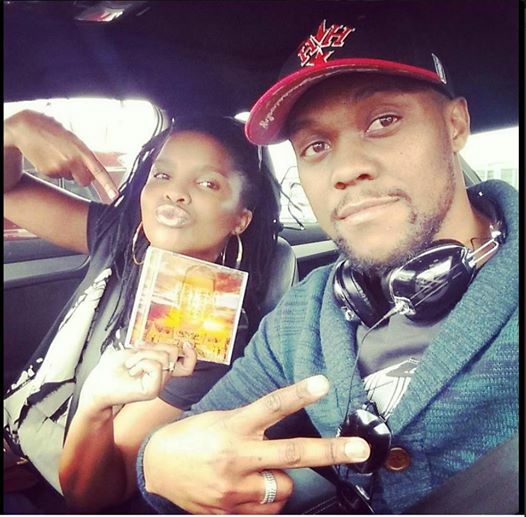 Her rumoured beau and spokesperson for Minister of Home Affairs, Mayihlome Tshwete, recently posted a picture of himself with Zizo and a copy of rapper AKA's CD. In the picture, Zizo's mysterious ring is seen again. A Twitter follower comments on the couple's photo: "Your lady is gorgeous" to which Mayihlome responds "That's my bodyguard". Touché. We called the media darling for comment and she politely declined to comment. "I've always appreciated the support DRUM has given me and am a fan of the magazine but I don't comment on my personal life," she giggled. When will this beautiful couple stop giving us the run around and let us congratulate them, already?